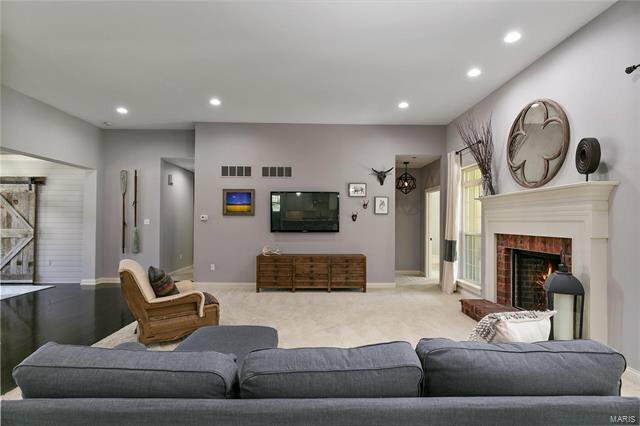 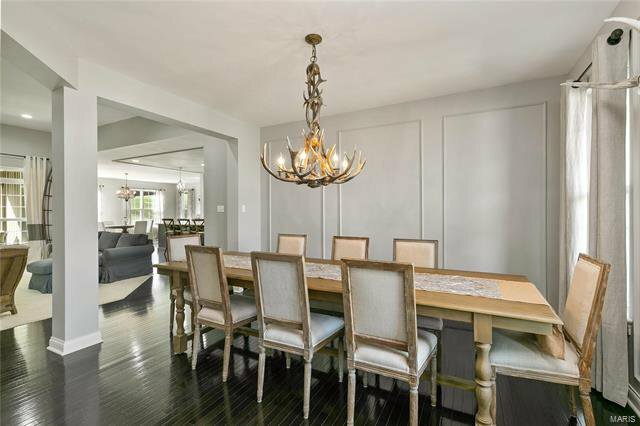 This Colorado inspired Ranch dream home is situated on a 0.49 acre lot in an enclave of exclusive homes in the Summit at Barathaven. 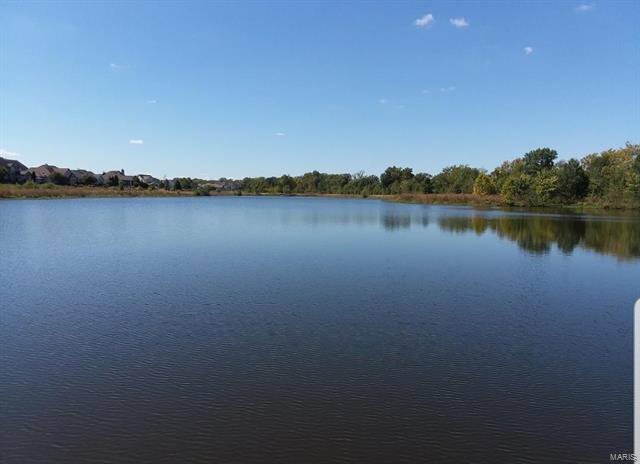 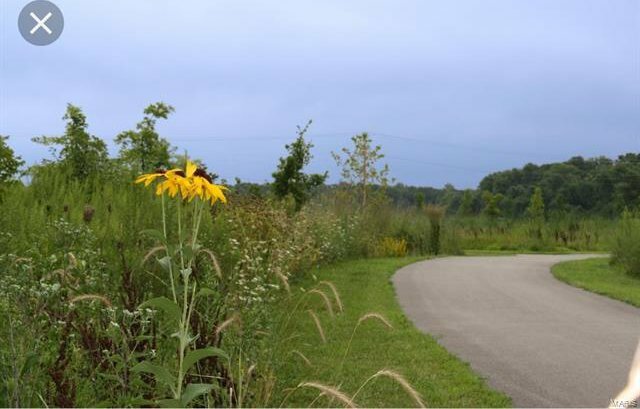 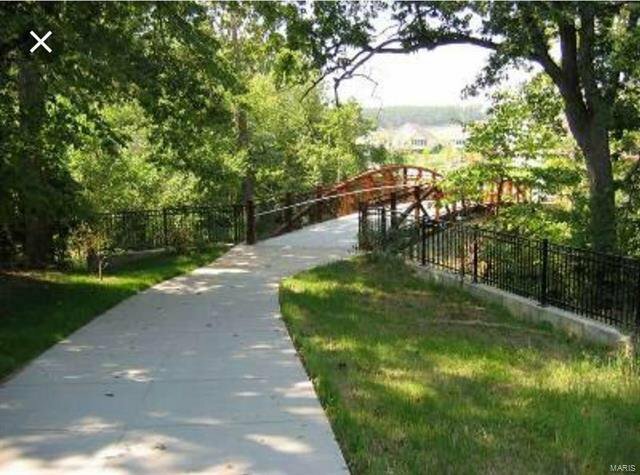 Biking, hiking trails, a 15-acre lake & prairie fields are all just steps from your front door. 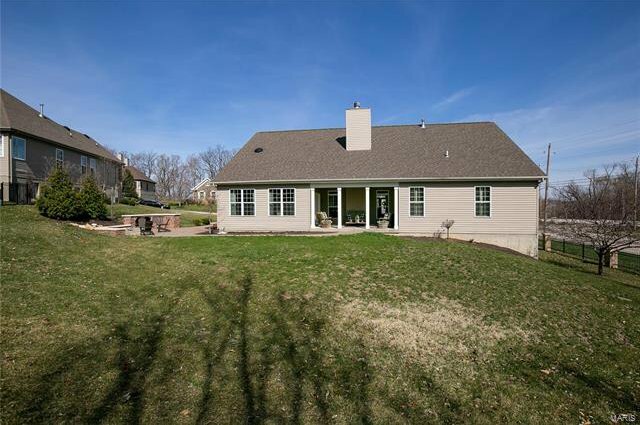 Located in Francis Howell school dist & John Weldon elem. 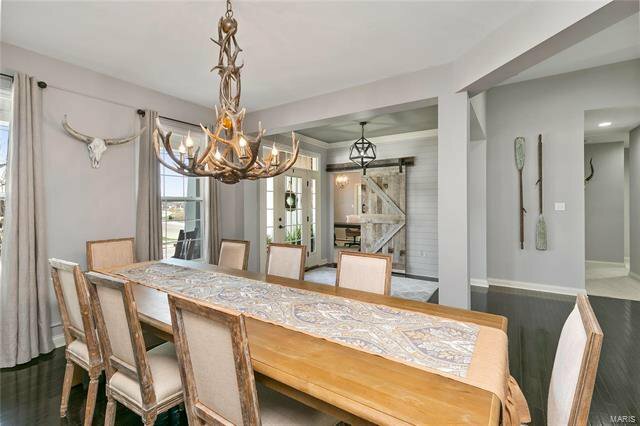 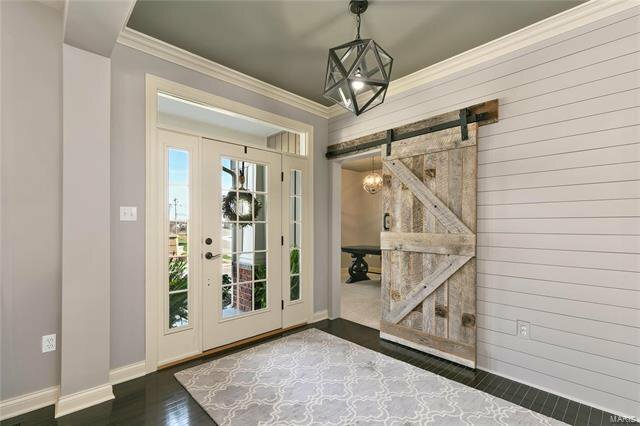 It’s all about the details, from the rustic barn door in the entry way, 9 & 10 ft ceilings on the main floor, craftsman style dining rm & plantation shutters. 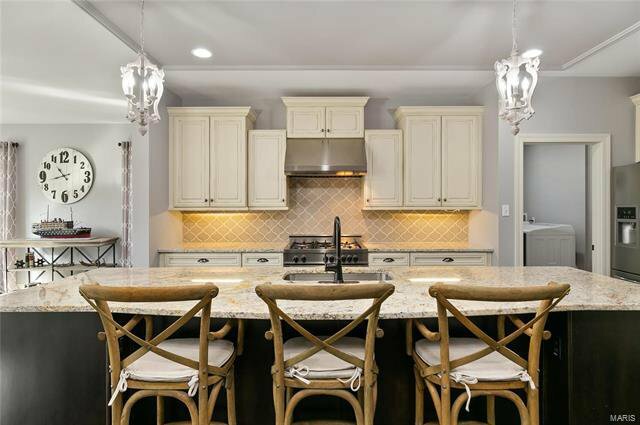 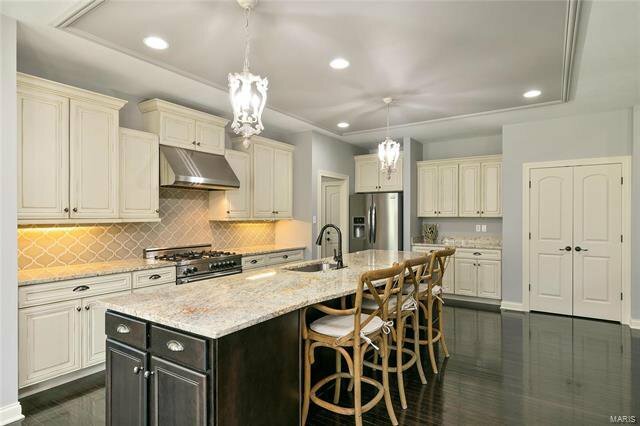 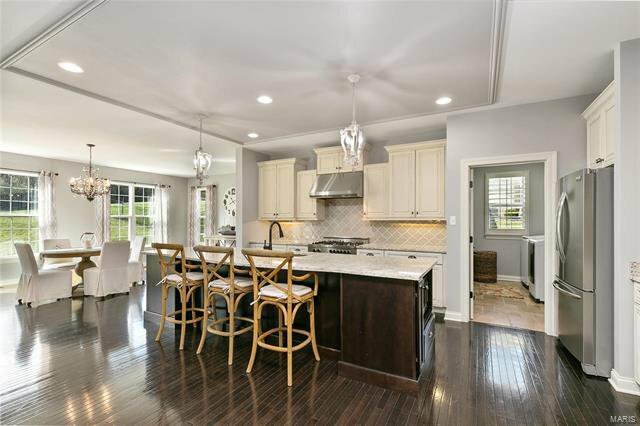 Gourmet-style kitchen w/ huge center island, gas range, designer hood, tile backsplash, granite counters & breakfast rm. 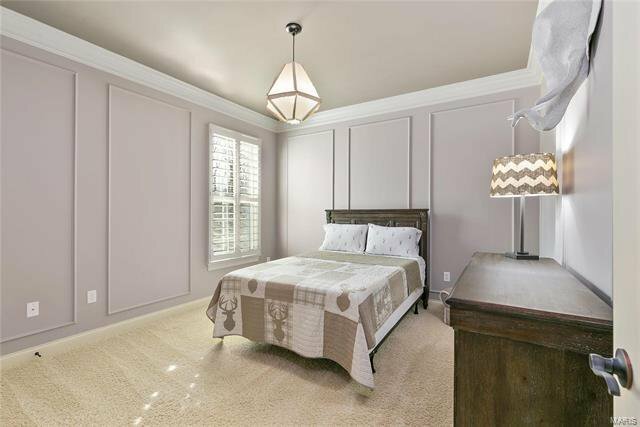 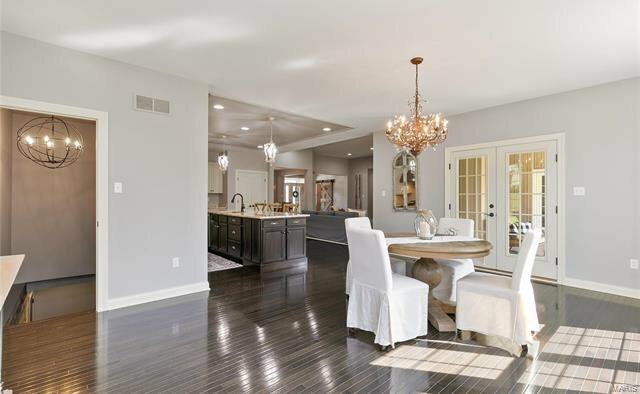 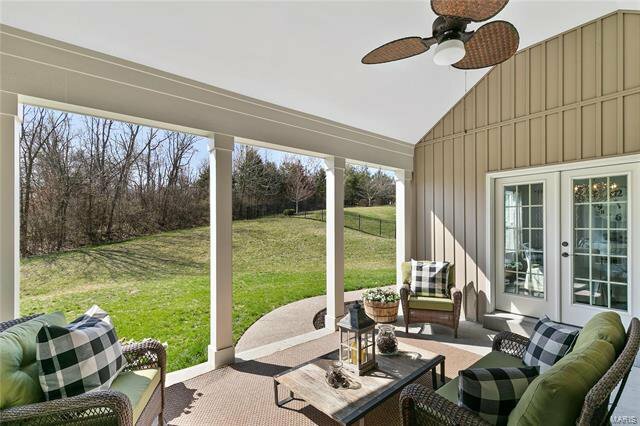 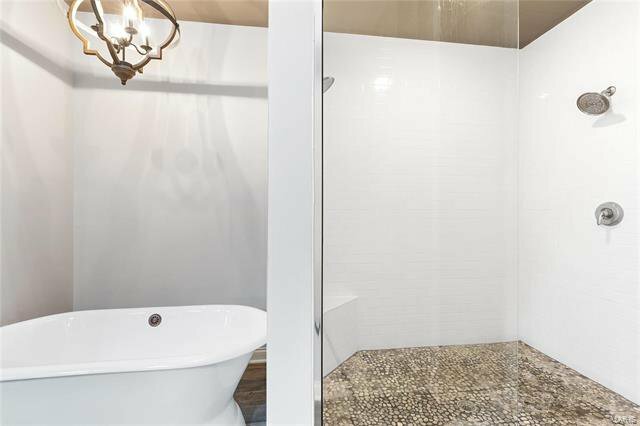 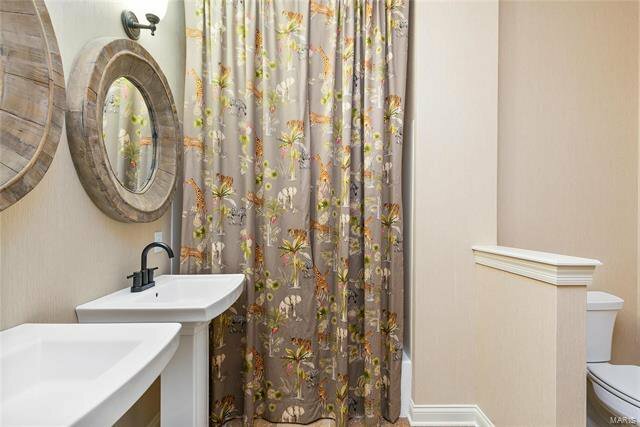 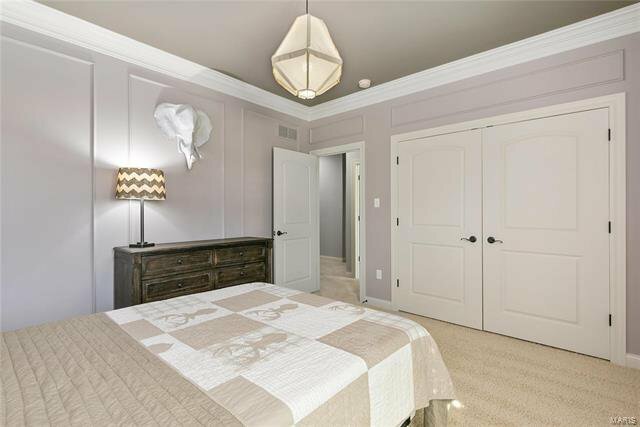 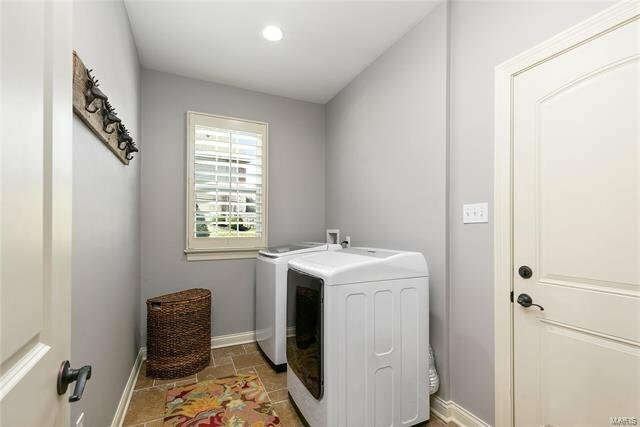 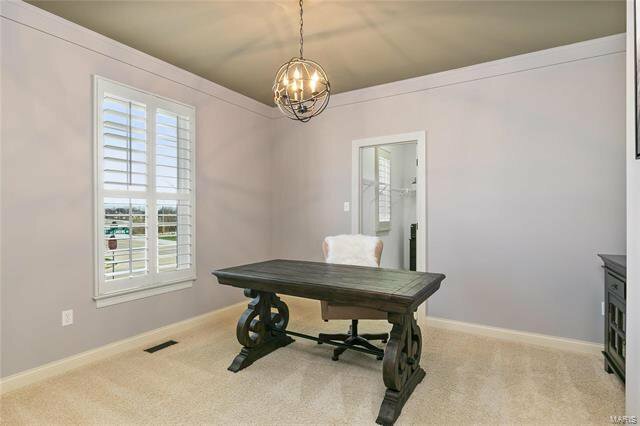 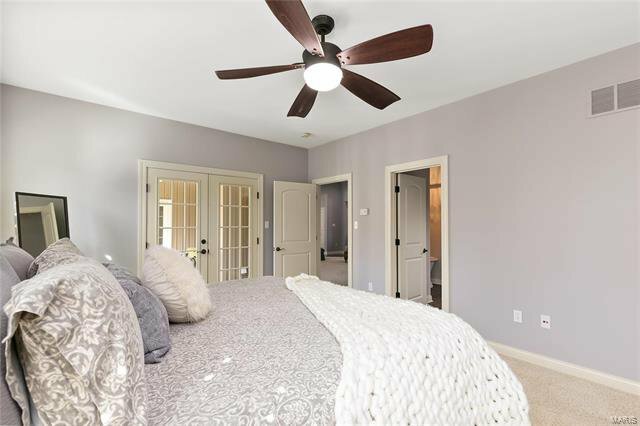 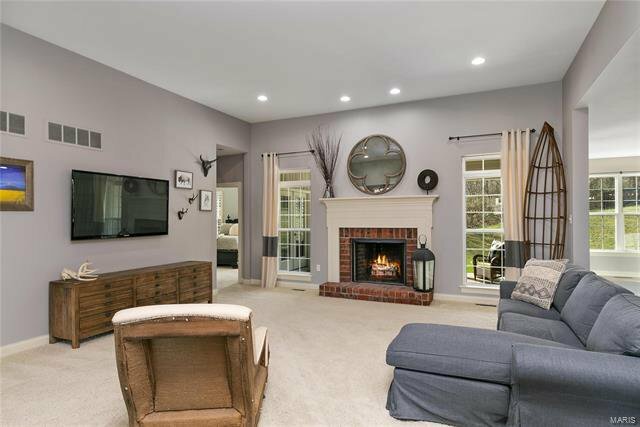 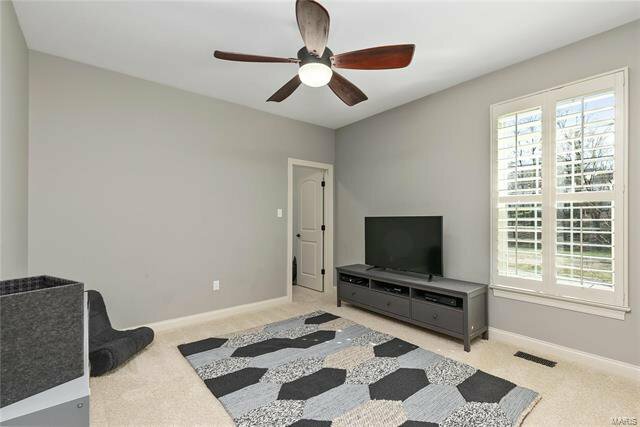 Main flr master bedroom suite offers French doors leading to back patio, gorgeous bath w/ a double bowl vanity, shiplap accents, a 7x5 river rock tiled walk-in shower w/ dual shower heads & jaw dropping tub. 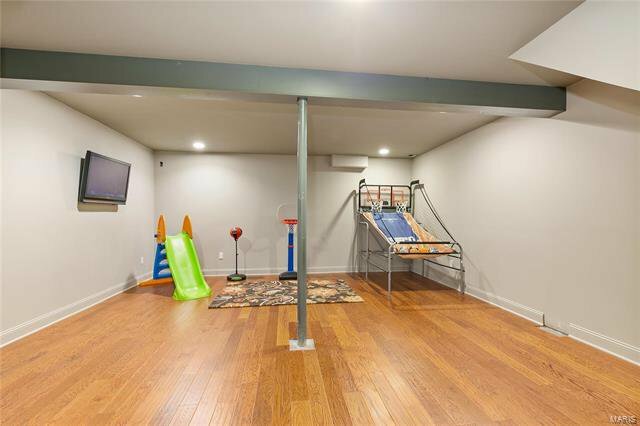 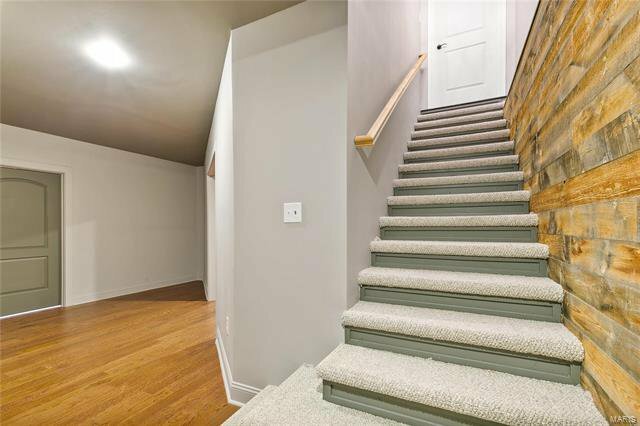 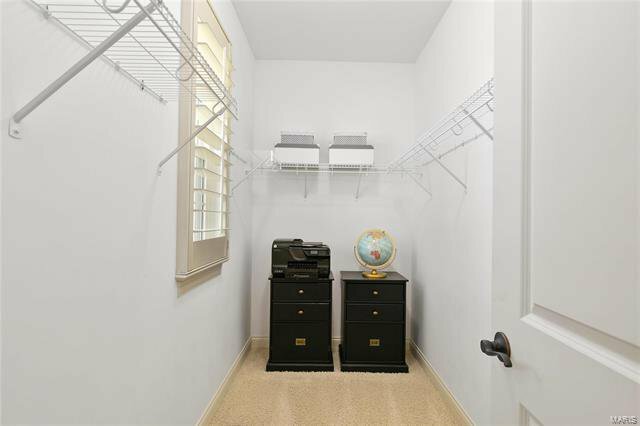 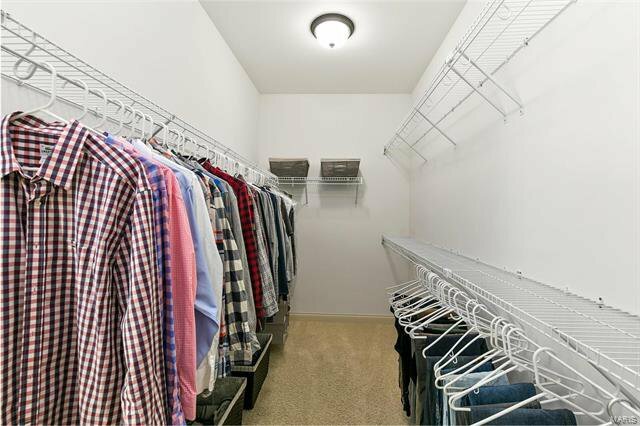 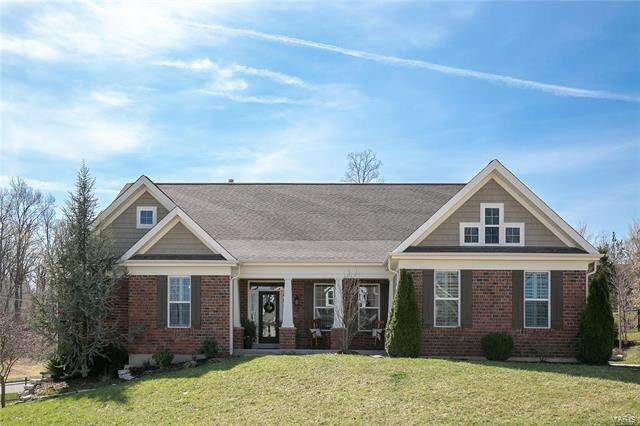 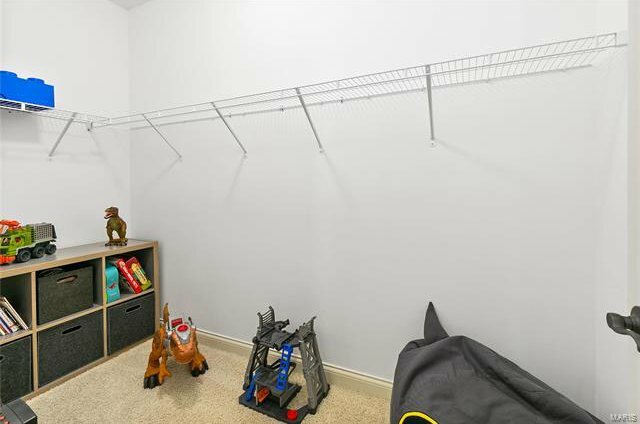 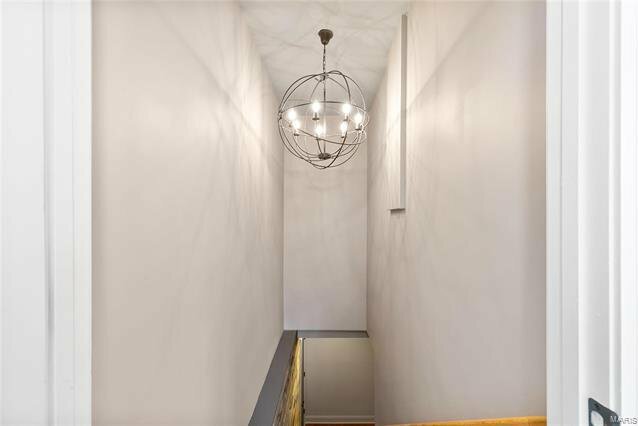 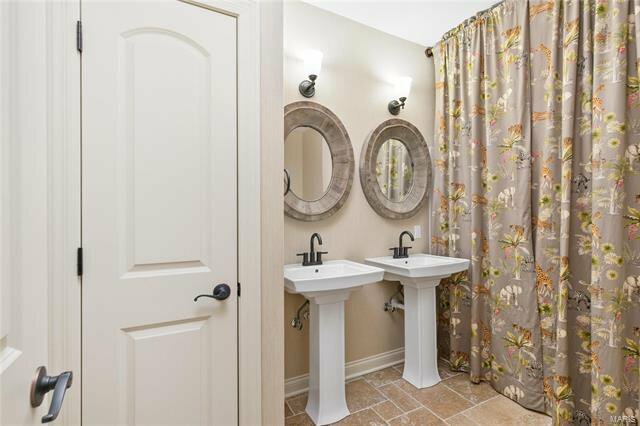 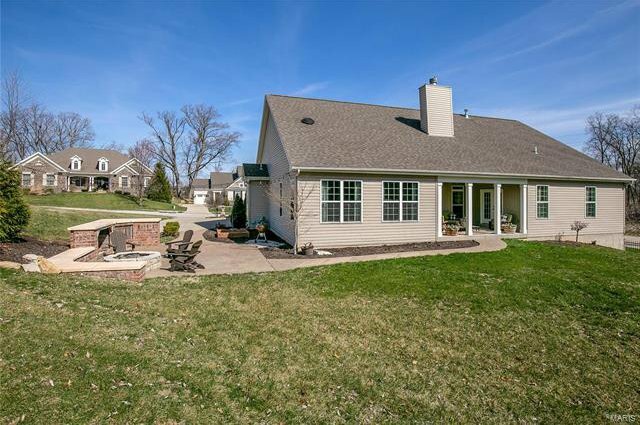 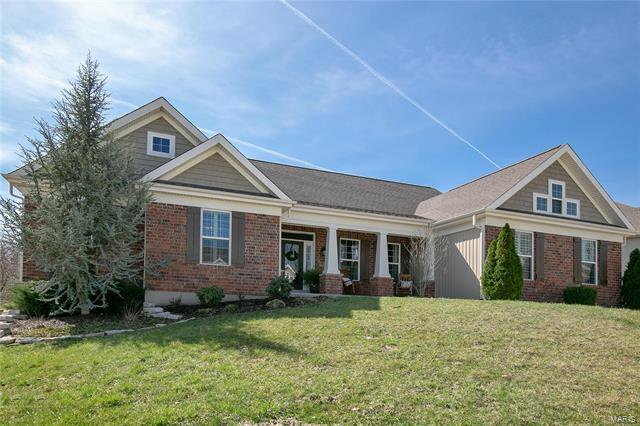 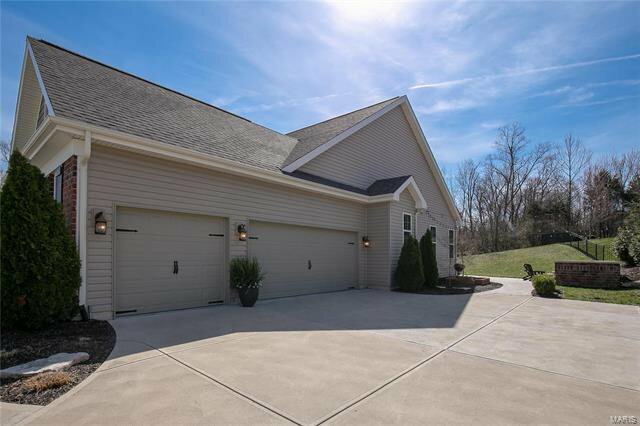 Three addl' bdrms, full bath, laundry & great rm complete the main level. 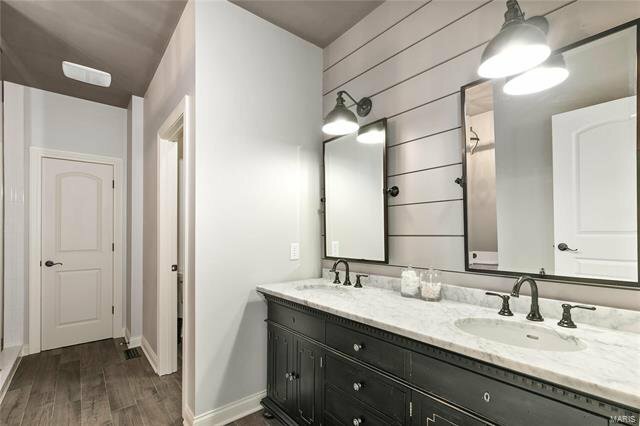 The LL has a rec rm area, barnwood accent wall & the rest is unfinished. 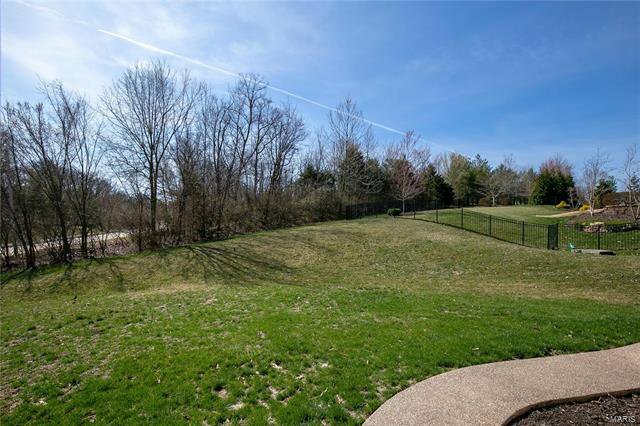 Lush landscaping, a custom stone fire pit & bar area awaits you outside!